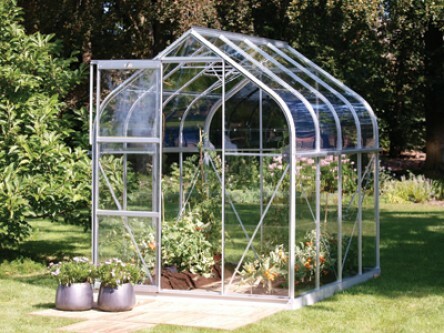 – available in 2 sizes, each 1.93m (6’4”) wide the Orion has attractive curved eaves for optimum growing height. The two models have a smooth action sliding door, 1 roof vent and the Vitavia integral standard gutters. As well as precisely cut glass, the Orion is supplied with u/v protected acrylic panels for the curved eave sections.